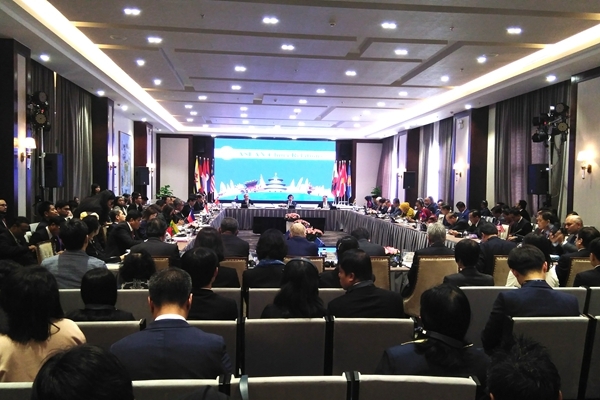 On 17 January 2019, the 22nd Meeting of ASEAN Tourism Ministers was successfully convened in Ha Long, Viet Nam in conjunction with the 38th ASEAN Tourism Forum. The Meeting was chaired by H.E. Mr. Nguyen Ngoc Thien, Minister of Culture, Sports and Tourism of Viet Nam, and co-chaired by H.E Dato Ali Apong, Minister of Primary Resources and Tourism of Brunei Darussalam and attended by ASEAN tourism ministers, Deputy Secretary-General of ASEAN Secretariat, secretaries general of ASEAN-China Centre (ACC), ASEAN-Japan Centre and ASEAN-Korea Centre and representatives of international tourism organizations, including UNWTO, PATA, ASEANTA and ATRA. H.E. Mr. Chen Dehai, Secretary-General of ACC was present and addressed the meeting. The Meeting discussed on key agendas including the outcomes of the 33rd ASEAN Summit held in Singapore on 13 November 2018, reports by ASEAN National Tourism Organizations and the joint press communiqué. Relevant issues were also consulted with international and regional tourism organizations. 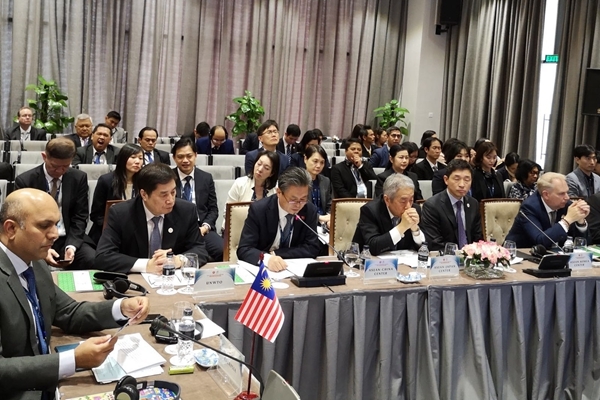 A series of important topics, such as marketing ASEAN as one single destination, attracting tourism investment, enhancing capabilities of tourism professionals, increasing community and private sector participation, improving travel facilitation and connectivity, were discussed at the Meeting. During the Meeting, Secretary-General of ACC H.E Mr. Chen Dehai delivered a speech highly commending the fruitful results of ASEAN-China relations and the achievements of tourism cooperation. He stated that, tourism had become one of the highlight areas of ASEAN-China cooperation in recent years. The tourists travelling between ASEAN and China were enjoying more and more convenience. Increased international flights, improved visa facilitation, and quality tourist service were among the latest developments. At present, over 3800 flights per week were flying between ASEAN and China. In 2018, the number of two-way visits between ASEAN and China was expected to be over 55 million, setting a new record with an increase of around 10% compared with previous year. China is ASEAN’s largest source of tourists whereas ASEAN remains one of the most popular destinations for Chinese tourists. Asia, especially East Asia is becoming the global tourism centre. He strongly believed that the future of tourism cooperation between ASEAN and China would be brighter than ever before. ACC would continue to play its role and join efforts with all ASEAN National Tourism Organizations and relevant partners to make greater contributions to the sustainable development of ASEAN tourism industry. The ASEAN tourism ministers expressed appreciation and underscored the active role of ACC and its achievements since its inception, which greatly contributed to the ASEAN tourism development and further promoted the people-to-people exchanges and connectivity, and helped build a sustainable tourism community of shared future. On 18 January 2019, the 18th Meeting of ASEAN Plus Three (China, Japan and the ROK) Tourism Ministers was held. H. E. Mr. Xiong Bo, the Chinese Ambassador to Viet Nam attended the meeting and spoke highly of the current tourism exchanges and cooperation between ASEAN and China. ACC Secretary-General Mr. Chen Dehai also participated in the meeting upon invitation and exchanged views with the ministers and representatives on furthering tourism cooperation between ASEAN and China. During ATF, Secretary-General Chen Dehai had extensive exchanges with the tourism ministers of ASEAN Member States including Cambodia, Lao PDR, Myanmar, the Philippines and Thailand on strengthening and deepening tourism cooperation. The tourism ministers were paying high attentions to the outbound Chinese tourists market, and hoped to map out new flagship tourism projects with ACC in future. 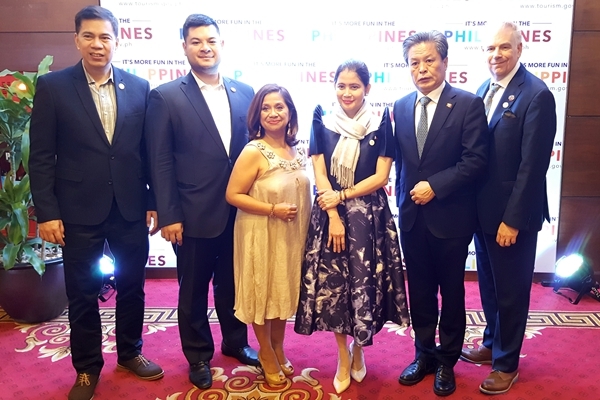 On the occasion of ATF, Secretary-General Chen also attended two tourism promotional activities, Brunei Night and the Philippines Late Night Function, where wonderful cultural and contemporary performances, authentic food and the latest tourism products of the two countries were showcased.